RCIA is a program designed to help non-Catholics and non-practicing Catholics learn more about Catholicism through a series of classes, discussions, prayers and ceremonies. It is a spiritual formation and a discernment process by which people who are interested in learning about the Catholic faith, can help you to learn about who Jesus Christ is and the traditions of the Church. Here you will learn about Catholic Christianity – who you are, what we believe, how to pray, how we live our lives as a community of believers. There is no obligation on the part of those who enter the RCIA process to ultimately become Catholic. You are not pressured to become Catholic. Participants are free to make their decisions about whether to be members or not. Regardless of your decision, you will be welcome here at St Joseph’s Church, Sentul! 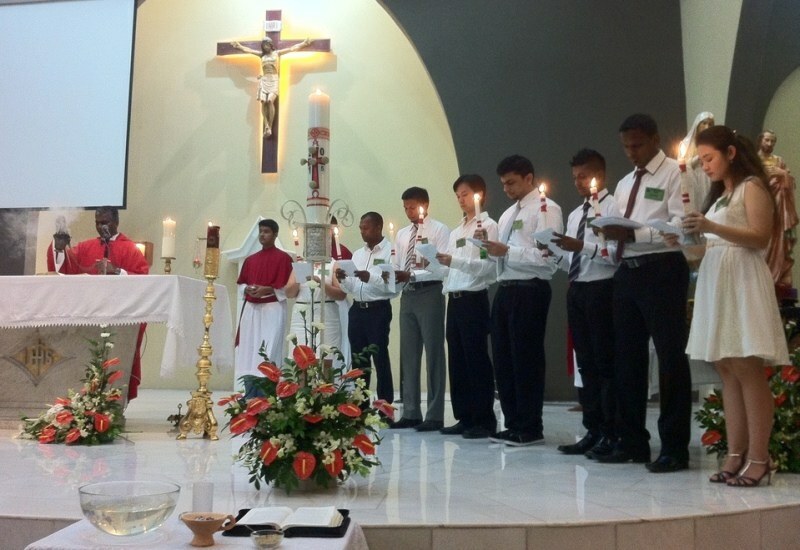 RCIA sessions are held every Tuesday evening from 8.00 pm to 9.30 pm, mainly in English and Tamil at the formation room. These weekly sessions lead participants to full initiation into the Catholic Church at the Easter Vigil, and continue until Pentecost. ARE YOU INTERESTED TO KNOW MORE ABOUT CATHOLIC CHRISTIANITY? · Have been away or left the Catholic Church for any reason, but wish now to re-examine their thoughts and reservations about Church teachings and traditions, practices or beliefs and to seek clarification.